The 2009 earthquake in L’Aquila, in Central Italy, killed over 300. But the post-catastrophe emergency policies of the Italian state and of the local Protezione civile produced a second earthquake, almost more destructive than the real one. The government of Silvio Berlusconi – who himself made fortune on the construction of middle-class residential communities outside Milan – favored the speculative plans of few entrepreneurs who managed to earn profit from the tragedy, by creating emergency residential new towns that turned the former medieval city of L’Aquila into an urban nightmare: a suburban sprawl of temporary blocks and commercial malls, while the center is still empty ten years later. Residents of L’Aquila were pushed into the peripheries of their vital space, and suffered the post-catastrophe as a social earthquake, one that shattered their relationship with the city, and that reverberated into a myriad of individual and collective disintegrations. 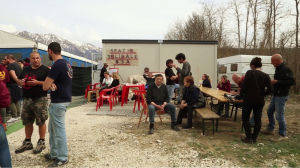 Seven years later, a new earthquake shook the nearby region of Monti Sibillini, hitting particularly the villages of Amatrice, Accumoli and Arquata del Tronto. Again, hundred of people died, this time in much smaller communities: Amatrice lost over 20% of its population. The left-wing government in charge affirmed they didn’t want to repeat Berlusconi’s approach, but ended up promoting the population transfer firts towards hotels of the seaside, then to bigger urban centers nearby. In fact, the management of the catastrophe sped up the process of removal suffered by all the internal areas of Italy: more and more residents abandon inland and mountain areas and move towards the coast. This observation can be applied to other areas: the management of the catastrophes, just like the ‘big events’, accelerate and pushes forward long-term processes that were already in place, such as peripherization and population removal, thus increasing the vulnerability of the territories that were hit. On a social and economical level – and this is their most important conclusion – the post-catastrophe management increased pre-existing inequalities, since resources were distributed with very little care towards the contexts and the specific conditions of all the people affected. 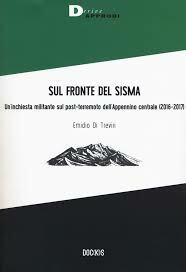 Emidio di Treviri’s collective book “On the earthquake’s front” was just published, the crowdfunding campaign is still open. Webpage of Emidio di Treviri research group. 1st number of the Basilico magazine, to spread the first conclusions of the research. 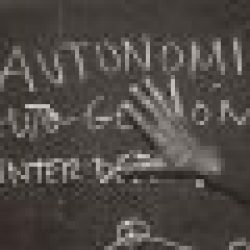 Emidio di Treviri (2017) “Dai campi al campo: per un’inchiesta sul doposisma dei Sibillini“, Il lavoro culturale, January 21st. Emidio di Treviri (2017) “Edilizia pubblica ai tempi del post-sisma: una politica di spopolamento delle aree interne“, Eddyburg, July 10th. 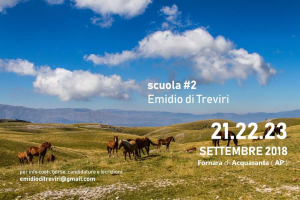 From Sept 21st to 23rd, the working group Emidio di Treviri will hold (for the second time) a summer school in the areas hit by the earthquake. 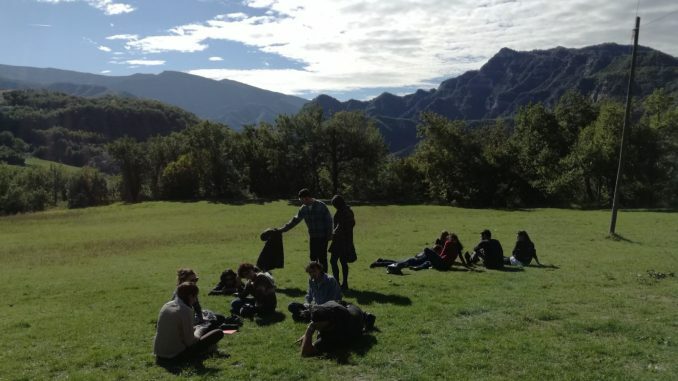 The researchers will share the results of their work, and debate on the collective management of local development as an alternative to the touristification of the territory. The workshop will also be an occasion to plan the next steps of the research project. More info and program will soon be available on EdT’s web and fb page. 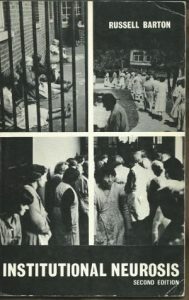 THREE MORE POSTS ON MILITANT RESEARCH, always on Perifèries Urbanes: september 2010 Anthropology in action, may 2011 Other worlds are here, june 2011 The fire and the word. On Italian anthropology of housing, see the new issue of Antropologia, “Etnografie dell’abitare contemporaneo“. And also the new open-source journal Tracce urbane. On “aree interne”, internal areas in Italy, see Vito TETI (2017) Quel che resta, Roma, Donzelli; Felice TIRAGALLO (1999) Restare paese, Cuec editrice; about the role of culture, Stefano PORTELLI, 2016 Segnali di risveglio dall’osso d’Italia, Napoli Monitor, 6 september. 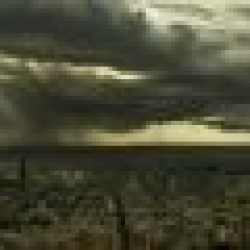 Last but not least, an old post in Perifèries Urbanes about the subjective dimensions of vulnerability, whose author is one of the promoters of Emidio di Treviri’s collective research group.